We’ve been looking for a silver lining in today’s HP squall line. HP’s done making webOS devices, and they might continue working on webOS while exploring their options with what to do with the software. Those options boil down to three likely possibilities: HP licenses webOS to a mobile phone maker, HP sells webOS (or just Palm’s patent portfolio), or HP completely kills webOS. Obviously we don’t want the last thing to happen, which leaves some other manufacturer to pick up webOS, either as a licensee or purchaser. And, frankly, any manufacturer would be downright stupid to license webOS from HP. The only way to do this can work for webOS to come back to life is for somebody to buy it and its associated patents (likely for even less than the $1.2 billion HP paid for Palm). So who could possibly buy webOS? Amusingly, this is the conversation we were having a year-and-a-half ago and HP came out of nowhere and bought Palm. And if we were having this conversation a week ago, we’re not sure we’d have any possible suitors that wouldn’t be interested in only picking up the Palm patent portfolio (surely, Google or Apple would love to have patent #7555727: Integrated Handheld Computing and Telephony System and Services). Google’s purchase of Motorola changed everything. Google says it’s all about the patents, but you and I and your mother all know it’s about more than the patents. Patents are the near term and eventually this whole patent lawsuits mess will sort itself out. Long term, Google has a reason for owning Motorola: they want to be able to control the Android experience from start to finish, so they can put out the phones that they want. This has to be scaring the bejesus out of the likes of Samsung, HTC, and LG. They’re all Android licensees, and they’re all Windows Phone licensees. Windows Phone isn’t going as well as any of them would have liked – LG has admitted as much. And now they’re all in the awkward position of potentially having to compete with Google. Not to mention those three also aren’t thrilled about Microsoft’s sweetheart deal with Nokia. Could any of them be interested in purchasing webOS and its patents? Certainly. HTC’s been busy trying to differentiate themselves, what with their shacking up with Beats. Samsung tried with Bada, and, well, that’s not really catching on. They all are searching for what HP was searching for with Palm: the ability to truly differentiate themselves. 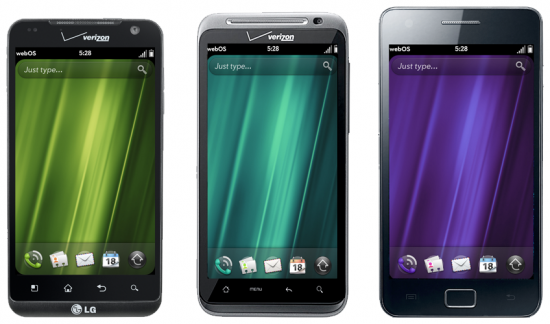 They didn’t want to be just another Android license, so they bought Palm and webOS. And then utterly failed with it. If anybody’s going to buy webOS from HP, I’m going to throw out another predicition and see if I can go three-for-three: Samsung. They have the money, they have tried before with their own OS in Bada, and they have the most to loose between Google/Motorola and Microsoft/Nokia. Apart from that, they also have the manufacturing know-how and facilities (they use almost entirely their own parts in Samsung phones) and are engaged in a drawn-out lawsuit with Apple where owning Palm’s patents could go a long way towards bolstering their defense. Of course, it’s also entirely possible that nobody will pick up webOS for anything other than its patents. This isn’t a case of Betamax or HD DVD – people really cared whether webOS lived or died and tried again and again to have it succeed. Unfortunately, those people may have been the wrong people. Right now, we’re stuck in the limbo zone of “is this yet another near-death experience, or is this the end?” We don’t want it to be the end, and we’ll do everything we can to make sure it’s not, but we’re just a blog. The questions boils down to how much HP asks for Palm. The goods – webOS and the patents – could very well be available, all we need is the right highest bidder (again).